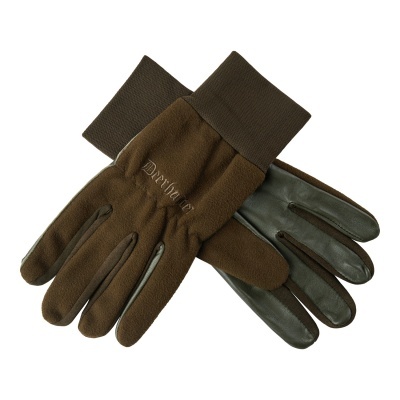 Fleece gloves with exclusive details in real leather. The perfect general purpose fleece glove with exclusive details in genuine leather. The glove is available in Art green and the new Max-5 camouflage. During the hunt, your hands are continually moving as you walk, use your shooting stick and binoculars and when you place the rifle to your shoulder. Therefore it is particularly important that your hands are covered when game stalking.